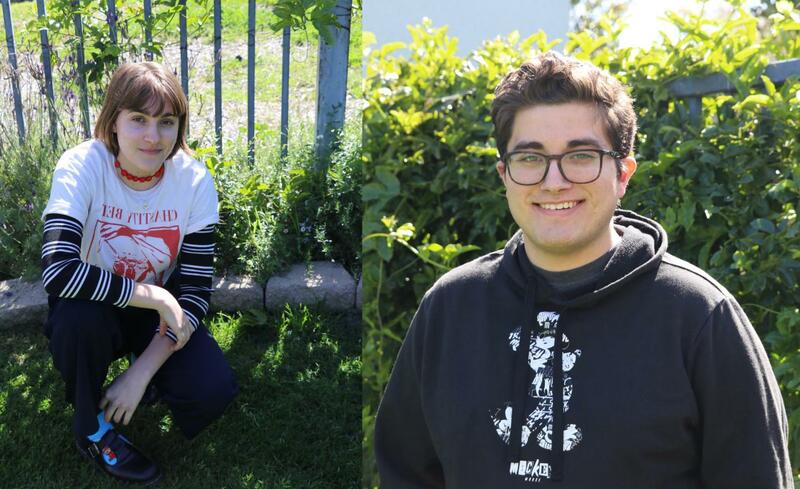 Abbey Bufford '19 (left) and Johnny Barrera '19 (right) are two Foothill students who have fallen in love with writing poetry. Foothill students Barrera and Bufford challenge the idea that poetry is only for English class with their modern and deeply imaginative art. When faced with hardship, many turn to art for answers. From song and dance to painting and drawing, artistry is a common coping mechanism in times of misfortune. For Foothill students Abbey Bufford ‘19 and Johnny Barrera ‘19, the art they turn to is poetry: a word that, when brought up in English class, makes students think of Shakespearean sonnets and complex literary devices. Bufford and Barrera are challenging the idea that poetry is only for English class with their modern and deeply imaginative art. Poetry is a way to process negative emotion, which Bufford would typically keep inside if not for writing. “It’s helped me understand myself a lot better,” they said. They have shared some poetry on their private twitter and at tournaments for Foothill’s Speech and Debate team, but they said one of their goals is to share more poetry in the future. The magic of poetry, Bufford said, is that “there’s no right way to do it.” Any collection of words that means something to someone is poetry. To “just try something out and see” is their advice to anyone who wants to try poetry but doesn’t know where to start. Poetry is subjective, and you get out of it what you put into it; “If you want to think about it as just a flowery poem, you can see it that way and it’s still beautiful, but if you look deep into it and then try to relate it to yourself,” Barrera said. According to him, that’s when it becomes something more than just a poem you read in English class. In middle school, Barrera thought poetry “wasn’t art,” and would fervently argue his point. When he looked deeper into what poetry is and what it means, he discovered that poetry is “almost one of the most personal” forms of art there is. Barrera’s poetry is more intimate—meant to be saved for himself or read to one person. He doesn’t want or feel the need to openly share his poetry. I built an altar of my body to a god that never speaks. and it bounced back, address unknown. there is nothing waiting to receive my requests. the universe is a mere decoration of a suggestion box. but still i chanted and screamed and waited and waited. perhaps my god is just a pile of bones.